Being arrested is no walk in the park. In fact, for those who are experiencing their first arrest, it can be downright terrifying. Whether you were in the wrong place at the wrong time or life took an unexpected turn, being arrested doesn’t have to be something you face alone. Here at Affordable Bail Bonding, we provide bail bond services in Charlotte County, VA. Our goal is to help alleviate your stress during this unfortunate situation and to walk you through the process of getting out of jail. Your previous criminal record: For those who are facing their first offense, bail is usually set at a lower amount. If you have a previous record, a judge might require a higher bail amount. Your standing in the community: Depending on your employment and standing in the local community, a judge will try to determine how big of a flight risk you are. The less likely it is that you will flee before your court date, the lower your bail amount is set. The charges you are facing: Lastly, the charges you are facing will play a major role in how pricey your bail amount is. Lesser charges will usually come with a much lower bail amount. Once your bail amount has been set, it is time to reach out to a Charlotte Court House bail bondsman. 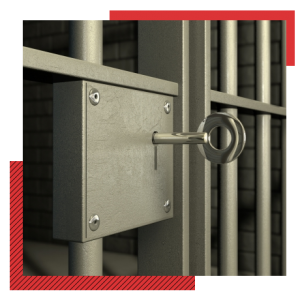 A bail bondsman can assist you with posting bail in an efficient and affordable manner. Ready to post bail? Contact our team right away. While posting bail on your own is possible, it is often extremely difficult for the average person to afford. When you work with a bail bonds company, you no longer have to carry the burden alone. A bail bondsman will assist you in getting out jail while ensuring that you can actually afford to post bail. 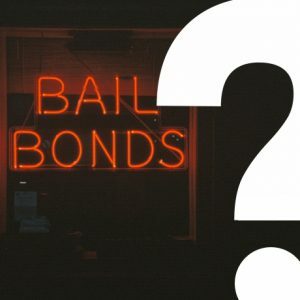 So how does the bail bonds process work? It’s extremely straightforward and simple. The first step is reaching out for help. Our bail bondsmen are on call 24/7, which means there is no wrong time to call for assistance. The sooner you reach out after an arrest, the faster we can get to work helping you post bail. Once you have contacted our team, we will request specific information. We will need to know the full name of the person arrested, their date of birth, and where they are being held. It is also useful to know what charges the defendant is facing. If you are missing any information, we can help you find what you need. After we have the information needed, we will take a payment from you for a percentage of the total bail amount owed. This is usually around 10 percent. Once you pay the bail bond fee, we will post the total bail owed on your behalf. Once we post the bail money owed, you will be released from jail. The efficiency of release is dependent upon the jail where you are being held. The process really is as simple as that! If you are sitting in jail and you can’t afford to post bail on your own, don’t hesitate to reach out to our team for help. We will work quickly to secure your release from jail. The idea of bail is that prior to going to trial, you are considered innocent and should be allowed to return home. Bail is paid in order to ensure that you will return for your court date. Unfortunately, bail is often set at such a high amount that you cannot afford it on your own. In this case, you might reach out to family or friends to help pay bail. Even still, when your bail is set in the thousands of dollars, it can be difficult to put together enough money to get out of jail. Here at Affordable Bail Bonding, we believe everyone has the right to affordable bail. That is why we strive to ensure that you can get out of jail, no matter what your financial standing. If you are struggling to make bail, a bail bondsman can help. 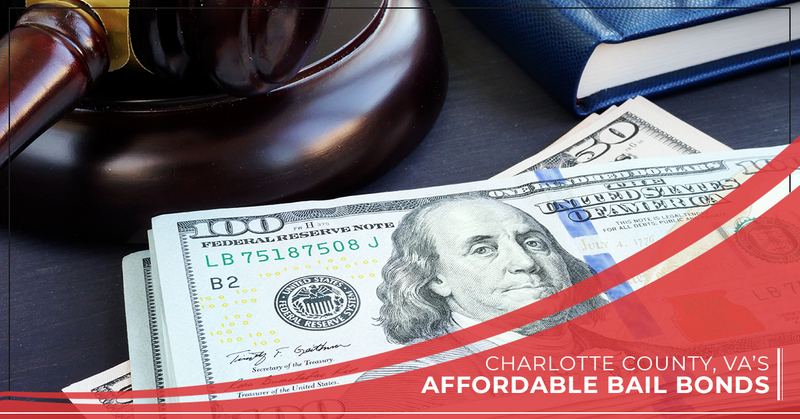 We offer affordable bail bonds in Charlotte Court House and across Charlotte County. By allowing you to simply pay a percentage of bail, we make it possible for you to get out of jail. If you still can’t afford the percentage of bail or the bail bond fee, talk to us about our financing options. We do our best to ensure that bail is within reach of everyone in our community who needs it. Has your loved one recently been arrested? 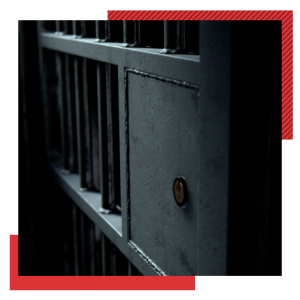 When you receive a late night phone call from someone you care about and you find out they are behind bars, it can be extremely stressful. The good news is that our team is here to help. Stay Calm: The best thing you can do is remain calm when you find out your loved one has been arrested. They need you to have a cool head as you navigate the justice system. Call For Help: Trying to post bail on your own can be difficult. Reach out right away for help from a bail bondsman. This ensures the fastest release possible. Be Supportive: Right now, your loved one needs your support, not your judgment. Focus on how you can help them. Hold Them Accountable: Once your loved one has been released from jail, it is important that they return for their court date. Hold them accountable so they have the best chance at future success. Choosing the right bail bonds company is a must. When you are looking for a bail bondsman in Charlotte County you can trust, we hope you will turn to our team at Affordable Bail Bonding. Our goal is to help you or your loved one get out of jail and back home as quickly as possible. 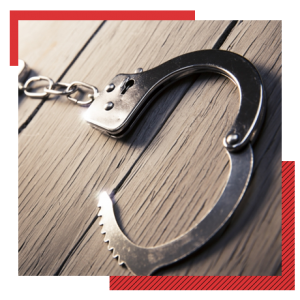 We work around the clock to provide a viable option for bail in our local community. Why work with our bail bondsmen? Posting bail is the best thing you can do for yourself or someone you love. By getting out of jail, you can return to your normal life and responsibilities while you wait for your court date. This allows you to find an attorney and prepare a proper defense. If you need help posting bail or have further questions, don’t hesitate to contact our company night or day. We are proud to provide affordable bail bonds in Charlotte County and across the state of Virginia.